This week was Trinity’s annual Week of Making Connections, sponsored by Career Services. The events included a networking etiquette workshop on Monday evening titled “Connecting With High Impact,” led by Barbara Greene, the CEO of Greene and Associates, a company that promotes interpersonal skills and networking. 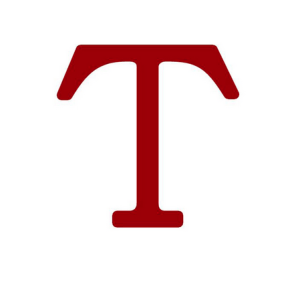 Read the article in The Trintonian. 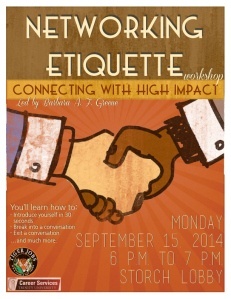 Career Services is hosting the networking etiquette workshop, “Connecting with High Impact,” with presenter Barbara Greene on Monday, September 15 from 6:00 to 7:00 p.m. in the Storch Memorial Building Lobby. Immediately put this new skill to work during Making Connections, a career-networking event with San Antonio alumni, on Thursday, September 18, from 6:00 to 8:00 p.m. in the Skyline Bistro. Get more details and register for these events.